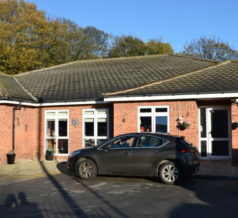 Situated at the heart of a residential community approximately three miles from the centre of Sheffield, Woodview is a purpose-built home offering accommodation for up to nine young adults with profound learning disabilities. It has good public transport connections to the city centre and is close to excellent shopping amenities. We firmly believe that no two residents are alike and consequently we strive to offer the very highest quality of person centred care. Care plans are developed to reflect not only a person’s individual needs but also their personalities, likes and wishes. In producing these plans, we encourage the involvement of relatives and friends and we often have close contact with families, very often developing lasting relationships with relatives. This Involvement of relatives and friends is important to us; we want families to take an active part in the changing and developing care planning of their loved one. Our residents can also be supported back to their family homes for a special event, or simply just pop home for a cuppa. The highlight of this approach is often a group event such as a Christmas party or Summer BBQ, where all our residents join with staff, family and friends for great entertainment, good food and a warm and loving atmosphere. Being purpose-built Woodview offers high quality facilities to its residents. The house has individually decorated bedrooms that reflect the personality of each resident. There are overhead hoists in both bedrooms and bathrooms allowing easy access to bathing facilities. The home also has large and airy communal areas, including an attractive lounge and dining room. 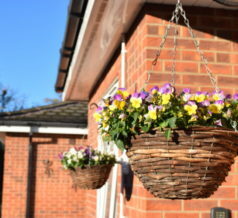 Externally the home has a secure and secluded patio area which is attached to an exceptional sensory garden containing several recently renovated planters. A special feature of the home is the attached Hydrotherapy Pool. This is available to all residents and has adapted hoisting facilities in both the changing rooms and the pool itself. The water is maintained at 34℃, so bathers will always feel totally comfortable in the water. There are four shower areas with wheelchair access and three of the showers have overhead tracking. The pool offers a unique experience for our residents and significantly contributes to the therapeutic and sensory quality of the care we deliver. 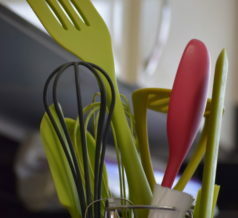 Activities play an important part in the life of the home. We want all our residents, regardless of their disability, to lead as fulfilling and busy a life as possible. Our activities are based on the interests of our residents and take place both within the home and in the community. To enable a wide range of trips out the home has a dedicated minibus that has been adapted specifically for our resident’s needs. Woodview has good professional working relationships with the community learning disability team and local health providers, which ensures our clients’ needs are met providing them with the best wellbeing possible. We want all our residents and families to feel safe, happy and secure in the knowledge that they have a warm and welcoming home that will do everything it can for them to make the most out of life.